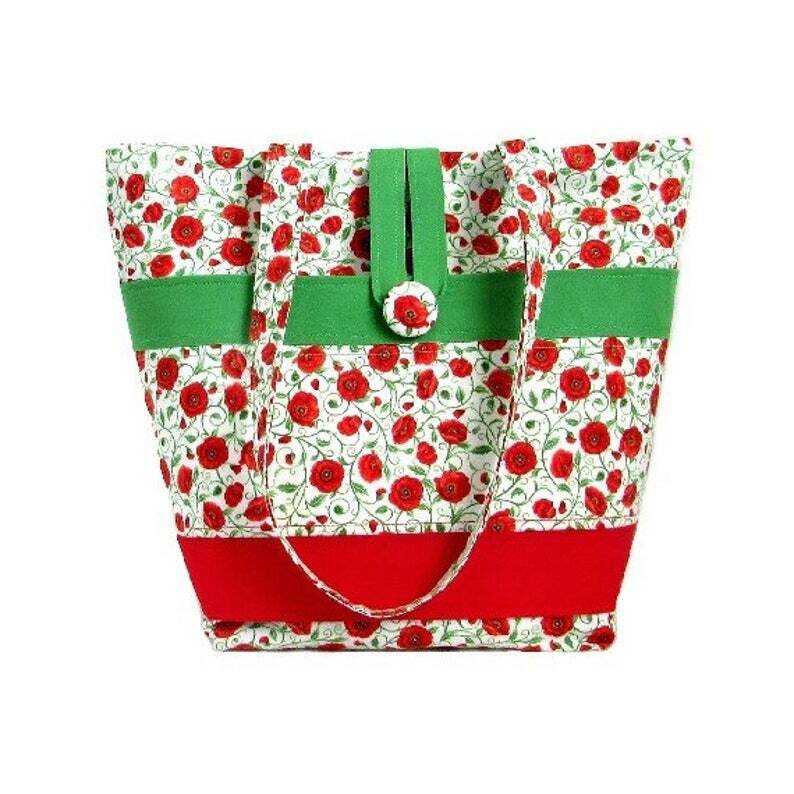 White Tote Bag, Cloth Purse has Red & Green Poppy Flowers on White background with a large outside pocket on the front. 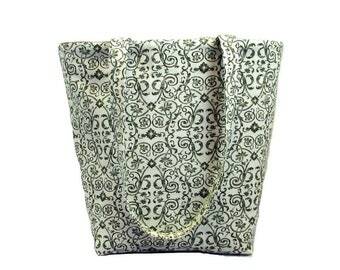 This Handmade Bag is fully lined in Green, to coordinate with the Flowers, it has 5 Red slip type Pockets on the inside, 2 handles in the same Floral Print as the outside fabric & a Magnetic Snap Closure. The Front pocket is made from the White Floral Print Fabric & the same Green & Red Fabrics from the inside pockets. The Front Pocket closes with a matching Fabric covered Button & Loop closure. The Pocket is the width of the bag and 6 1/2 " Deep.